Get Your Driveway Ready for Back to School! Getting the driveway ready for back to school probably isn’t a chore that most homeowners have considered. Getting the driveway ready for back to school probably isn’t a chore that most homeowners have considered. Getting it ready for seasonal changes, sure, but for the school year? As you know, in addition to seasonal changes, constantly driving on your driveway will also cause some eventual wear, and the start of the school year is one of the busiest times of the year for parents and students. 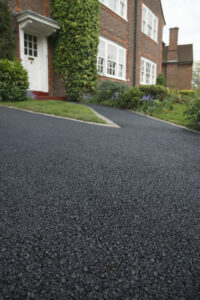 Therefore, preparing your driveway for the school year will help extend its look and life. Asphalt, concrete, and brick driveways all require maintenance and preventative measures to extend their look and life. Before your schedules are packed with rehearsals, practices, and meetings for the school year, consider cleaning, repairing, or sealing the surface. Take a look at your driveway and assess which of these techniques will help prevent major damage down the road. Weather and general daily use of your driveway can cause cracks to form on the surface. Small cracks are simple to address with liquid crack sealer. Although initially, cracks in your driveway may seem like a cosmetic issue, they can ultimately lead to the deterioration of the structure and are better off repaired sooner rather than later. The last tip for getting your driveway ready for the school year is as simple as washing it. Removing oil stains and other excess dirt is essential to maintaining your driveway. It will not only enhance the look of your driveway, but ensures that other elements like mildew and mold won’t have any adverse effects on the health of children and lead to eventual deterioration of the driveway itself. This entry was posted on Friday, September 1st, 2017	at 12:24 pm	and is filed under Asphalt	. You can follow any responses to this entry through the RSS 2.0	feed. Both comments and pings are currently closed.